Made for cheap and fast printing. Designed for my 4 watches + bottom slot for samsung gear charger and cord. 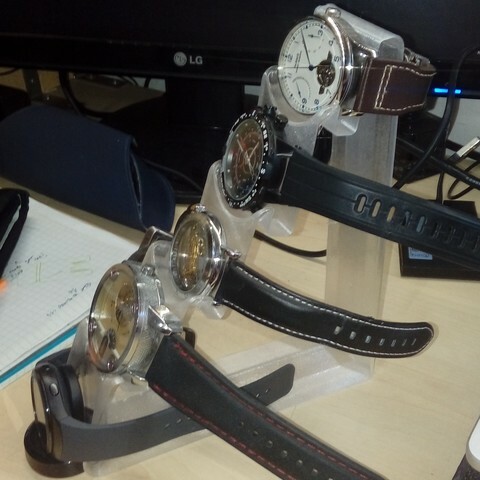 Minimum material use and fast print, useful for watches on a crowded table.